Our home care packages program is driven by your requirements. This is carefully documented in a support plan that we draw up with you and your family members. This tailor-made plan drives everything that we do in caring for you. We carefully select the carers to ensure that they are a good match for you. Our home care packages program has been designed for the benefit of the aged who wish to remain in the comfort of their own homes and take an active part in the community. We help the frail and infirm as well as more active aged people to live independent lives with dignity. We offer a home care package program for each of the four levels as assessed by the Aged Care Assessment Team. The package that you choose will give you access to a range of personal support systems and care that can help you to live the lifestyle that you want. Our care plan is individualised and you can make changes to the plan at any time that you want. You have the right to choose the in-home care service provider that best suits you. In considering which provider is the best for you, you should look at the service range and quality. The reputation of the organisation is paramount. You need to trust your home care provider implicitly. Also important is the home care packages costs. At Beacon Support, we offer both permanent and transitional care. Transitional care is designed for aged people who have been in a hospital and need time to recover before making a decision on their next move in life. 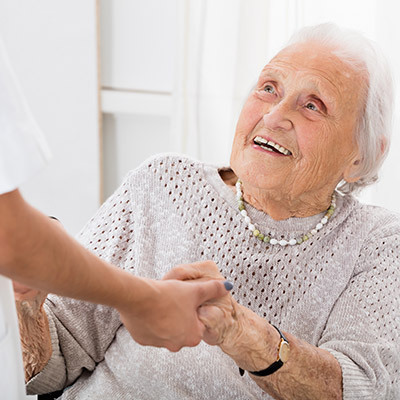 The Aged Care Assessment Team can determine the level of care that you require before you leave the hospital, then the the right home care packages program can be developed for you. Your home care packages costs will depend on what services you choose, on the duration and on how many times you require the services. The Australian government expects those who can afford it, to contribute to the costs of their care. However, the government does pay the bulk of the costs through their subsidisation program. We also offer a fee for service for those who do not receive a government subsidy. The Aged Care Assessment Team will determine the level of home care for which you qualify. There are four levels, each of which receives a different level of funding. The levels range from level one for low-level care to level four for high-level care. Some people such as those with dementia can also access additional funding. We can help you to design the home care packages program that enhances your lifestyle. Call us at 1300 435 782 or contact us via our online form for more information about our home care packages program or home care packages costs.